The common names for the Hardy perennials Achillea are Sneezewort and Yarrow. Achillea typically flower from late spring to early Autumn. Visit this page for specific information on growing Achillea millefolium in your garden. Yarrow and other Achillea make ideal border plants and are great as part of a meadow garden. 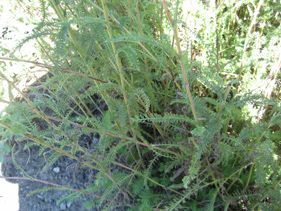 They are large plants, ranging from between 15 and 120 cm in height. 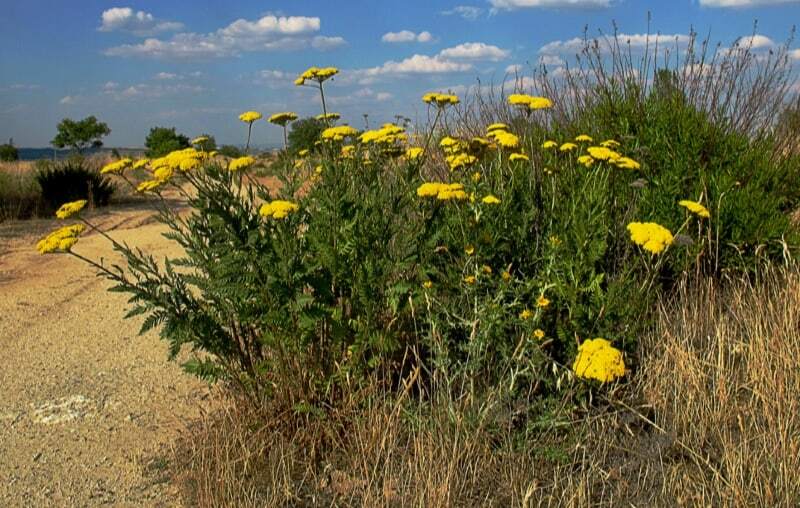 Achillea plants have soft feathery leaves, and tiny densely packed flowers of either pink or yellow. 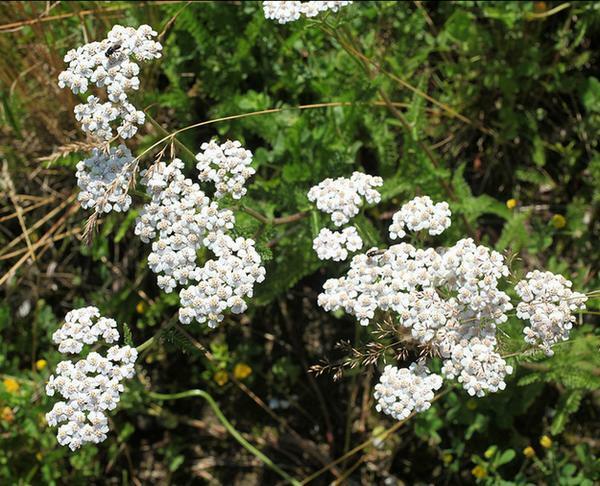 Common Names: Yarrow (Common), Sneezewort, Bloodwort, plumajillo, All heal. Height: 6 to 48 inches (15 - 120 cm). Flowers: Late spring through to early autumn. Flower Details: Yellow, Pink, white, orange, red. Small ray/disks. Flat-topped clusters. Sow Outside: Seeds: Surface. Start of spring - before the last frost, or the beginning of autumn. Sow Inside: Germination time: one week to three months in the light. Temperature: 60 – 70°F (15—21°C). Ten weeks in advance. Transplant outdoors before the last light frost or early in autumn. Space at 12 to 24 inches (30—60 cm). Requirements and care: Full sunlight. Soil pH 5.5 to 7. Most soils; loam for best results. Can survive in dry soils. Provide support for taller varieties. Cut back to the ground in autumn. As some species are short-lived they should be divided every second year in the spring to maintain vigor. Propagate: by dividing once they have finished flowering. Miscellaneous: Can be used as a dried flower in displays, cut flowers should be hung upside down in a dry place until ready. Named after Achilles (of heel fame), as it was used to treat his soldier’s wounds. Used in olden times as an astringent to staunch the flow of blood from wounds. Attracts many moths and butterflies to the gardens including leaf miners, Pugs, and case bearers. Spreads from rhizomes. May become invasive in some areas. 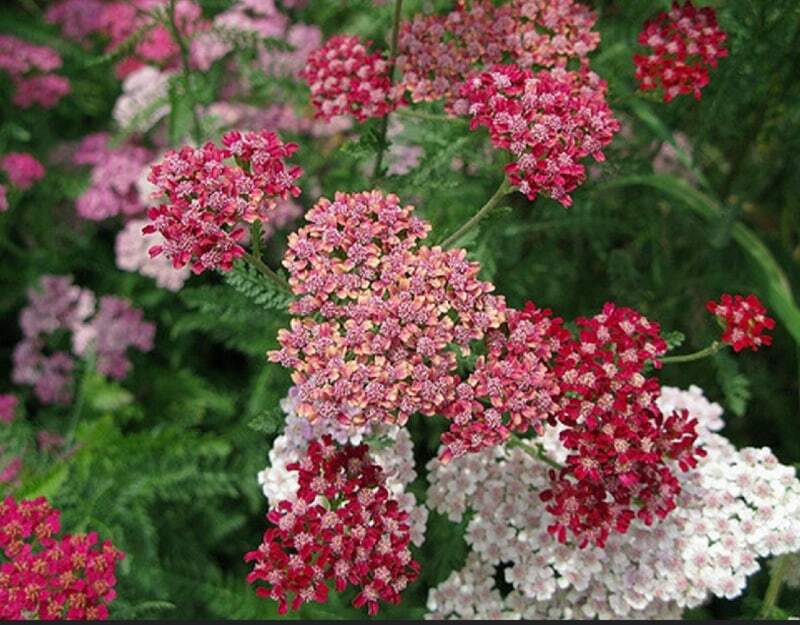 It is best to plant Yarrow and othe Achillea seeds on the soil surface, 30 to 60 cm apart, in the early spring, as a frost is required or in the early autumn. Plants like light and should be grown in full sunlight. They are capable of growing in poor soil, but ideally should be planted in a loam at a pH of 5.5 to 7. Achillea requires light, and between between 10 and 100 days for germination to occur, at a temperature of 15 to 18 degrees Celsius. 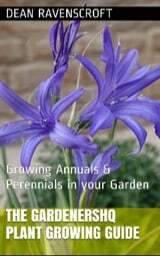 If growing the plant indoors it should be sown 10 weeks before planting out. It should be put outside in early spring or late autumn. Achillea are very easy plants to care for, they require to be cut back in the autumn, and divided every four years to maintain healthy growth.